Released in June 1994, this recording is the debut album for the trio. It is also Saskatchewan's first ever fiddle CD and Western Canada's fifth ever fiddle CD, receiving radio airplay and positive reviews from across North America. The Cleavers are assisted on this album by guitarist Freddie Pelletier, drummer Dean Kushneryk, bassist Blaine Yandt, Randall Currie on steel guitar, Rod Jansen on mandolin and veteran champion fiddler and banjo player John Kushneryk. With Rodney and Tyler (both Saskatchewan Provincial Fiddle Champions and Canadian national finalists) teaming up with one of Canada's top fiddle accompanists, this debut album presents a wide variety of original dance tunes, an original piano solo, and a 10 minute French Canadian reel medley that will work for any square dance group or group of step dancers that want to take turns showing off their favorite step. 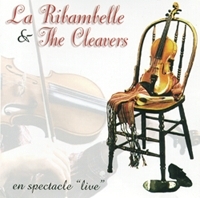 The Cleavers have actively performed with La Ribambelle, a French Canadian folk dance troupe from Saskatoon, Saskatchewan, since 1994, and have used music from La Ribambelle's shows for their own performances. This album contains excerpts from live shows recorded in Saskatchewan (spring 1999) and the Ingenio International Folklore Festival in the Canary Islands of Spain (summer 1998). The album matches with La Ribambelle's dance choreographies, including fifteen fiddle cuts, three French Canadian songs in the folk tradition (composed in Quebec, Manitoba and Saskatchewan) and an original piano solo. Released in December 1999, this album is Saskatchewan's first live fiddle CD, Saskatchewan's first live dance troupe CD, and the fourth live fiddle CD to come out of Western Canada. 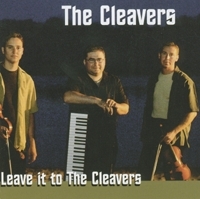 The Cleavers' third release was recorded over time from 1995 to 2001. 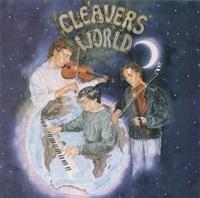 The Cleavers are again assisted on this album by guitarist Freddie Pelletier, drummer Dean Kushneryk, bassist Blaine Yandt, Randall Currie on steel guitar, Rod Jansen on mandolin, George Tennant on standup bass, Joel Grundahl on classical and electric guitar, Canadian Grand Masters finalist Diana Lynn Kushneryk on harmony fiddle, and a classical string section featuring Jim Legge, David Ruby, Julia Ruby, Joanie Savage, and Mark Rudolf. This third album, released in November 2001, is a collection of original, traditional and modern musical arrangements of selections performed by the trio over the past number of years in show and dance.